Politics and fiber arts, they can go together. I like many of the more modern expressions of political thought in fabrics and fibers. 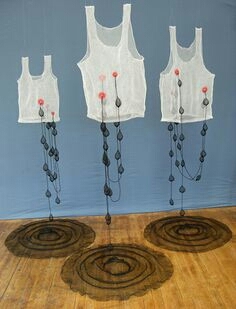 Many of the artists are using innovative techniques, and interesting materials. 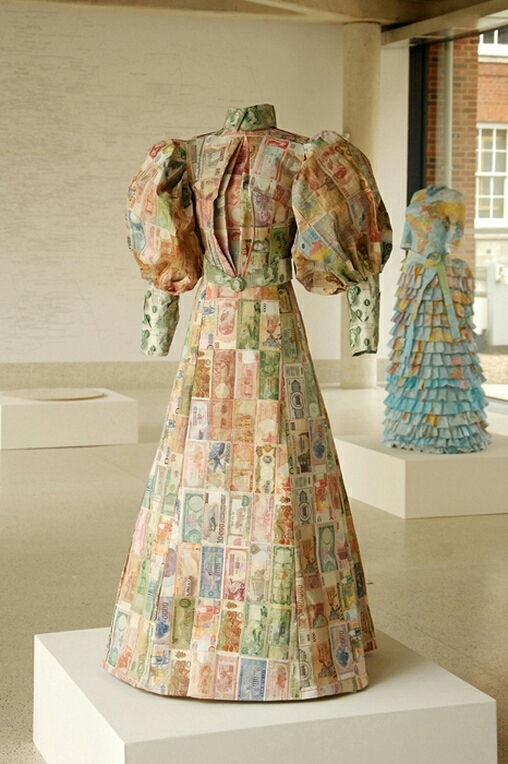 For example "The Money Dress" is a glorious experiment with using currency as fabric, and as commentary. Other artists have used text to convey their intentions, others have used more graphic imagery. I love the use of a traditional technique to convey modern concerns, that make us contemplate those concerns in a new way. The Democratic National Convention is starting this evening. It makes me wonder what inspiration for work will I find in it.